An update on some of what we have growing. 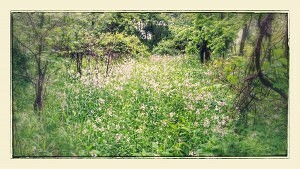 Many of the areas we only mow a couple of times a year now have wood phlox growing. While we did not plant it I think it is very pretty. 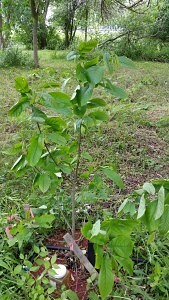 Several years ago I planted a couple of Paw Paw trees. They are native to Michigan and are supposed to product a fruit that tastes like banana custard. This fruit isn’t commercially available do to the fact it doesn’t ship. 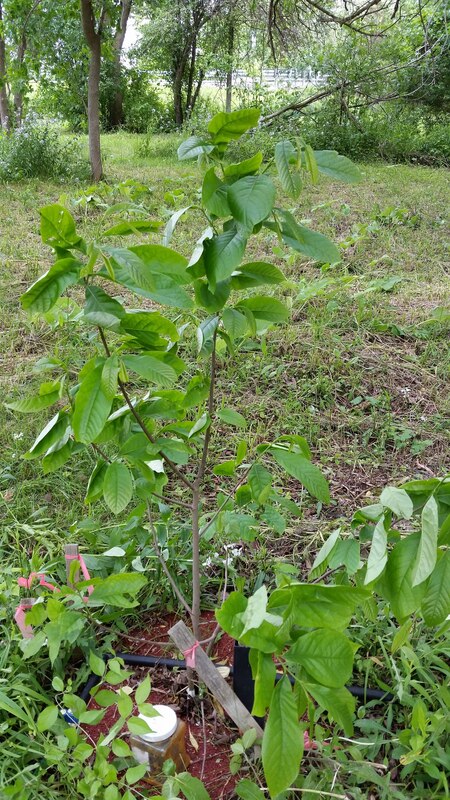 The trees are just now starting to grow, this one being about 4′ high. Finally our comfrey is doing quite well so now I’m cutting it and feeding it to the chickens. It is reported to be high in protein and good as livestock fodder. This entry was posted in chickens, farming, Gardening, homesteading, Plantings and tagged Backyard Chickens, comfrey, flowers, Planting. Bookmark the permalink.